When reciting Gurbani it is very hurtful to our Guru if we make what we may call a minor mistake by mispronouncing a lagaa maatar (Gurmukhi vowel) knowing this then how can we totally disregard an ang of Guru Sahib. We must all question ourselves to see if we really have fear for our Guru who is manifested in Gurbani – can we call ourselves a Sikh of the Guru in this light? The Bani contained in Sri Guru Granth Sahib Jeee is the truth as Sri Guru Nanak Dev Jee tells us in Mool Mantar it was true at the start of the ages true throughout the ages and will be true forever more. Recognise the Bani of Satguru as the Truth Oh Gurskihs – Lord the Creator has uttered it himself. We as Sikhs should therefore recognise Sri Guru Granth Sahib Jee as the living embodiment of the 10 Guru’s and respect each and every letter of the 1430 angs from Ik Oa(n)kaar to At(h)aarah Das Bees. 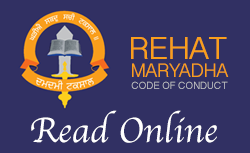 The following is a point-by-point reply to an article “Ragmala The Undeniable Facts” (RTUF’s from now on) that has been distributed which questions the authenticity of God’s Gurbani – Ragmala. If a Sikh is to use this Code as an arguing point then they should be prepared to abide by it in its entirerity not just picking and choosing what they feel is correct for example this Code clearly states that Kes is a Kakkar and not Keski and in praise of the Code it must be stated that it also says that a Sikh should recite one Sehaj Paath (whole of Sri Guru Granth Sahib Jee) monthly or the equivalent. If one is to use this code as a basis for arguing then they must be willing to abide by the stated previous points and practise what they preach. As shown this Code has many discrepancies and if Sikhs abided it they would actually be violating the eternal edicts of Gurbani. Ragmala has something in common with the most frequently read Bani around the world by Sikhs and non Sikhs alike Jap(u) Jee Sahib. Both do not indicate which of our Gurus wrote them in fact ‘Nanak’ doesn’t appear in 7 paurees (verses) of Jap(u) Jee Sahib and ‘Nanak’ doesn’t appear in several other Shabads in Sri Guru Granth Sahib Jee. Arguing that Ragmala is not Gurbani due to the lack of the word ‘Nanak’ appearing in it is thus a fallacy and miscomprehension. The order of rags that appear in Ragmala are irrelevant to the writing of it as it is not an index of the rags in Sri Guru Granth Sahib Jee. Ragmala and Gurbani in general have deeper mystical meanings if we don’t understand or can’t comprehend these deeper hidden jewels that does not mean we should simply disregard Gurbani we don’t understand. Nobody argued that Ragmala is a mere rosary of the rags in Sri Guru Granth Sahib Jee Guru Jee decided what rags to include in Ragmala and it is not for us to doubt/question this decision. In Gurbani the word rag also means prem (love) so Ragmala is also a rosary of love it is not merely a rosary of rags (this is in reference to the deeper mystical meanings of Ragmala mentioned above). This statement is incorrect as Jap(u) Jee Sahib actually has two ‘1’s’ at the start and a ‘1’ at the end after the Salok. 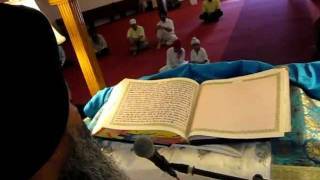 The 123456 etc numbering system is present in Sri Guru Granth Sahib Jee but is not consistent throughout. Just as in Jap(u) Jee Sahib there are other verses of Gurbani that have the No. 1 after paurees that follow each other – do we then also discount these as Gurbani as they are not adhering to this stringent numerical system. In this platter there are three things – they are truth discussion and discourse of the Shabad. The riddle is understanding the true meaning of these lines which is that in the platter of Sri Guru Granth Sahib the Amrit Naam of Shabad has been placed by contemplating and studying this Shabad one attains truth and contentment. In 1945 the SGPC set up a sub-committee to investigate whether Ragmala is included in the original Sri Guru Granth Sahib Jee Saroop that was compiled by Sri Guru Arjan Dev Jee. The following is from their: “We can most definitely say that nobody other than Bhai Gurdas Jee who was the scribe included Ragmala in Sri Guru Granth Sahib Jee. Ragmala is an ang of Sri Guru Granth Sahib.” They also stated that they the ink paper and handwriting of Ragmala was consistent with the rest of the saroop. When this first saroop of Sri Guru Granth Sahib Jee was compiled many had made supplications to Sri Guru Arjan Dev Jee to include their writings but Guru Jee rejected many only those who had merged with God could utter Gurbani as it is the word of God Himself. The final Saroop of Sri Guru Granth Sahib Jee as we know it today was compiled by Sri Guru Gobind Singh Jee and Baba Deep Singh Jee compiled 4 other Saroops of this final version and they were sent to all Five Takhats. All these Saroops have Ragmala in them again it is written in the same handwriting ink and upon the same paper. The above mentioned works are not present in any of these Saroops and they unanimously accepted not as the writings of the Guru and only few Saroops have these works in them. This point is a fallacy it was a poet named Jodh who wrote Madhvanal Kamkandla in 1583 AD - Ragmala or anything even resembling it is not present in the original version of this book. The poet Alam lived from 1655 to 1717 AD and after listening to/reading Ragmala he wrote a book called Madhvanal Sangeet that was mostly copied work from other poets including Jodh. There is also a poem in this compilation which doubters of Ragmala believe is Ragmala but it is actually very different to Ragmala. In the past century people have mistakenly linked the work of these poets’ as one and the same because Alam plagerised much of his work from Jodh and they try to prove that Ragmala is not Gurbani with this mistaken line of argument. Historically there are 11 different versions of Ragmala they all differ from the original which is in Sri Guru Granth Sahib Jee different writers over time have gained inspiration from Ragmal in Sri Guru Granth Sahib Jee and then gone on to write their own versions of Ragmala. In Sri Guru Granth Sahib Jee there are 2 different versions of Barah Maha one in Raag Maaj and the other in Raag Tukaree. There are also many versions of Barah Maha written by various authors should we then argue that these two Barah Maha’s are not Gurbani? Sri Guru Granth Sahib is not a book and it is blasphemous to suggest so it is God’s word and should be respected as such. This line of argument is obviously of one who does not view Sri Guru Granth Sahib with reverence and it may be pointed out that such people also argue that you don’t have to do Bhog to food in the presence of Sri Guru Granth Sahib Jee or even doing Bhog is a mere ritual. The faithful offer food to Guru Jee to bless and Sri Guru Granth Sahib Jee is the living embodiment of the 10 Guru’s thus it is logical to offer food in the presence of the Guru. It would be very easy to make a list of Gursikhs who were held in high regard that believed Ragmala is Gurbani. The list would include great scholars freedom fighters spiritualists and selfless servants of the Khalsa Panth. The other point to note is that Sikhs throughout the world read Ragmala and it only a minority who question or doubt it’s authenticity there are only a few Gurdwaras throughout the world where Ragmala is not recited and it is recited at Sri Akhal Takhat Sahib and Sri Harimander Sahib (Golden Temple). Ragmala is read at the end of a complete recital of Sri Guru Granth Sahib Jee by doing this all your sins are eradicated. By reading Ragmala the recital is complete without it’s recitation it is incomplete. We can only pray that Guru Jee brings the people who don’t believe in Ragmala to their senses in this life as who knows what they will have to endure if they die doubting the authenticity of Ragmala.